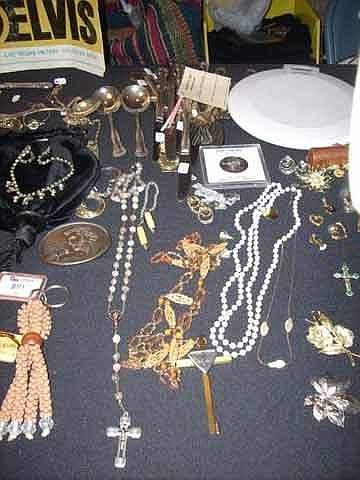 The term "estate sale" refers to the sale of personal property. It differs from a garage or yard sale in that it typically involves the entire contents of a home. An Estate Sale is a type of sale or auction to dispose of the majority of the materials owned by a person (personal property), often accumulated over a lifetime, who is deceased or planning a move. While one or more individual items may have significant monetary value in the eyes of interested collectors/investors, the rest typically falls within a continuum of sliding value based upon market demand for similar items. The objective of a true estate sale is the orderly liquidation (sale) of personal property in return for the highest cash proceeds. The concept of estate liquidation is relatively straightforward, yet it is typically infused with significant emotional distress, daunting logistical challenges (everything must be sold), and pressing deadlines. Are we certified and insured? Yes, we are fully insured and certified by Z Insurance Group, Curtis Zerr with Travelor's Insurance. The first step in our process is to get to know you and your situation through an estate sale analysis. Together we will outline your goals to determine the appropriate solution. Then we study the physical arrangement of your home and property to determine how to best showcase your estate. After meeting with you, we formulate a plan that will most effectively accomplish your goals. We prefer to begin preparing thirty days prior to the sale. However, we are willing to work within a tighter time frame if circumstances dictate. Do I need antiques to have an estate sale? No, most sales consist of everyday household items, decor, collectibles, furniture, autos, etc. Am I responsible for pricing? No. We will use our experience and research to establish the best price for your belongings. However, client input on key items is always welcome. No, it is not necessary to clean the house. However, a more presentable home does result in a more successful sale. What happens to all of my items that don't sell? If there are items that are remaining after a sale, you have the option to have us disperse the items either to charity, re-seller or hauler.